I appreciate the opportunity to contribute to the goals of President Obama’s administration as it relates to improving how IT is managed in the Federal Government. We support the Office of Management and Budget (OMB) 25 Point Plan with many activities from NASA’s stellar IT program. I also volunteered to Co-Chair the Architecture and Infrastructure Committee with Michael Carleton, the CIO from the Department of Health and Human Services focusing government-wide activities by supporting the creation of practical architectures. Along with all of our CIOs, NASA’s Goddard Space Flight Center CIO, Adrian Gardner is also answering the call. The truth is that the “To-Be” vision of the Federal IT environment in our minds-eye is actually similar from one agency to another. No matter how hard the going gets, it is critical that we have a plan to get there. OMB’s 25-Point Plan and the TechStat reviews make participation a ‘no-brainer’. The activities in the plan and the TechStat reviews help propel us toward our goal of a more efficient and effective IT enterprise. NASA was an early adopter of a key element in the plan, the “cloud-first” approach. NASA became one of the first federal agencies to have a Cloud implementation. Tuesday, September 15, 2009, Vivek Kundra, the Federal Chief Information Officer, toured the NASA Nebula Container and the Security Operations Center (SOC) at NASA Ames Research Center in California. He commented on the NASA Nebula Cloud project as he announced the launch of the Apps.gov platform, an online storefront for Federal agencies to browse and purchase cloud-based information technology (IT) services at a significantly lower cost to the Government. Nebula now serves dozens of customers with centralized services. In addition, NASA has expanded cloud availability with a second instance at Goddard Space Center in Maryland, and is actively adding new customers. This “Cloud-First” philosophy is central to our department’s strategic plan. NASA held their first Tech Stat session on March 24, 2011 for the Integrated Collaborative Environment (ICE), a program that provides a common repository for authoritative data from the Exploration System Mission Directorate (ESMD). ICE is a web-centric environment designed for use by industry, academia and government for sharing, collaborating, integrating, accessing and controlling management information and product data definitions for all ESMD products. The key outcomes included requirements to develop performance metrics, consolidate applications. It also included a discussion of investment opportunities, lifecycle costs, and customer usability. The next TechStat will review the Enterprise Service Desk (ESD), a major component of NASA’s IT Infrastructure Integration Program (I3P) which is designed to transform NASA’s IT Infrastructure services from a Center-based model to an enterprise-based management and provisioning model. The scope of I3P is broad, entailing consolidation and central management of IT Services. In addition, NASA’s participation and performance under the Federal Data Center Consolidation Initiative (FDCCI) has resulted in the closing of 13 data centers since February 2010 with plans to close one more by the end of calendar year 2011. The remaining 54 NASA data centers will be reduced to 25 by 2015, which actually exceeds the OMB requirement under FDCCI. NASA plans to continually assess data center requirements as these consolidations evolve and after current and future data center requirements become better understood. The Value of Enterprise Architecture from Jim – He was sort of a nutty guy. But back in the day when Enterprise Architecture was all the rage, folks were spending millions of dollars to create thousands of pages that filled scores of notebooks for little or no value. When I was totally fed up with spending all that money for nothing, I was ready to zero out the budget. Jim helped me understand how I could get more value for much less money if we focused more on things that help people better plan and manage IT projects along a thoughtful strategy. For example, a relatively small number of principles are more actionable than pages of analyses of alternatives. For NASA now, a principle that incorporates OMB IT reform guidance with the agency strategy would say, “We have a preference for cost effective cloud technologies”. But, because the service providers’ landscape is changing so fast right now, by the time we developed a full blown technical reference model which defines service standards and available technologies, the information becomes out of date and useless. The Virtue of Resilience from Liz – She was really the boss from hell. Working for her reminded me of when I worked in an infectious diseases lab – the job stunk and you had to be careful what you opened up because it could kill you. It was something new every day and I hated every single day working for her. But, just as I was an inexperienced teenager working as a lab assistant, I needed to learn how to face the unknown and do risky, but important things. People in organizations face change in ways that feel like death. Budgets get cut, programs end, and life goes on. No one is ever grateful for these hellish experiences, but as we learn how to adapt and recover from the stresses and strains that we encounter in our lives, these experiences become invaluable. In CIO heaven, I’ve learned not feigned appreciation for the hardships, but sincere gratitude for the opportunity to develop and grow and the humility to express heartfelt thanks to people like Liz. The True Meaning of Customer Service from Dave the Helpdesk Guy – It was a dark and stormy night – it was really. And I had just returned home from the airport after being on travel. It was about 10:30 pm and I had to approve time sheets so folks could get paid and I needed to do it by midnight. Exhausted and extremely stressed, I couldn’t remember my password or all the arcane steps to access the system securely via virtual private network (VPN). We didn’t have a 24-hour helpdesk, but the service provider insisted that on-call support was just as good and cheaper. Dave asked me for my name. I didn’t want to give him my title of Deputy CIO; I just wanted to be a regular customer. He needed me to spell my name – C-U-R-E-T-O-N. His kids were screaming and he yelled at them to be quiet. He repeated B-U-R-E-T-O-N? I said no, it starts with “C”. He sarcastically said, well, that’s a good start. I said, “What?” He said, “Does your name have more than one letter”. I took a deep breath and got berated for forgetting my password, for the fact that he was in his car with his kids and I disturbed him. As we now deploy the Enterprise Service Desk at the NASA Shared Service Center, I rewind the tape and try to keep in my mind the perspective of the customer. Sometimes helpdesks care more about closing a ticket to meet the resolution response time, than about customer care and fulfillment. Dave cared more about himself and his situation than about mine. The company he worked for cared more about response time than about the efficacy of being able to resolve problems from the front seat of a car. Customer service isn’t the same as being self-serving. The Real Meaning of Quality from Kathy – Kathy worked for a large company that manufactured computers. They finally released a version of the operating system that gave us much-needed capability. It removed an architectural limit that made it possible to use more memory and run bigger programs faster. She was proud of the fact that they dropped a new release early and at lower cost. Her quality product haunted me for weeks. There was a bug in the code that caused me to work several nights of at least 24-hours straight sifting through 32 megabytes of hexadecimal machine code trying to figure out what was wrong with this quality. Her perspective of quality and mine were out of sync. I expected something that actually worked. She expected something that simply booted up and did so quickly. Quality is in the eye of the beholder. An anonymous quote says that, “The bitterness of poor quality remains long after low pricing is forgotten.” Yes, it was cheap. But, that cheap product was so costly, I couldn’t afford it. And I will still remember the poor quality in CIO heaven. The Genuine Significance of People You Lead from Luke – Luke is the kind of employee that you dream about. He would do anything for you. Well, I needed him for this particular assignment. Yes, it meant that he would leave his spouse and son. Yes, he would have to maintain two households and commute. Yes, he would endure financial hardship and yes, he would do it willingly. We always say people are number one! But, we actually treat them like they are number two – the mission first, then the people second. Just because Luke was willing to do what I absolutely needed him to do, doesn’t mean I should ask him to do it. So these are my five people. I didn’t have to wait to get to heaven to understand how they and others had a positive effect on my life as a CIO. Life is a lot like this. Everywhere we look in these tough times it seems that things are so tough when we see failure all around us — jobs lost, houses in foreclosure, bankruptcies, failed marriages, and hearts broken. But, we won’t grow as individuals unless we are willing to take risks, face disappointments, and yet maintain our resilience enough to learn and advance. A broken heart or a failed marriage means that we experienced joy and love. Perhaps an engineering example would have been better for this philosophical conversation with my girlfriend. After all, it’s much safer than love, life, and relationships. With the invention of the brakes, the automobile was able to get beyond the novelty and impracticality associated with this innovation. Some folks think that the purpose of the braking system was to prevent the car from going too fast, but it actually allows the car to go faster and stop safely and higher speeds. In looking at the risks associated with the automobile, using risk management as a learning process and not a hindrance is what enabled the critical innovation provided by the invention of the brakes. Proper risk management is a learning process not a hindrance. In looking at the risks associated with the speed of automobiles, inventors learned better ways to decelerate and stop. The United Kingdom, however, looked at risk in a different way in 1865. They outlawed the use of automobiles unless a man on foot waving a red flag and blowing a horn preceded the vehicle. This discouraged inventors and engineers on working on the challenge of increasing speed while maintaining safety. As a programmer, there were many situations where I needed a failure in my software code, just so I could get to the point of finally debugging it and solving the problem. I needed to learn from the failure. This doesn’t mean that we are cavalier about failure, but we perform tests, simulations, and experimentations in safe environments so that we can learn about potential failures. A life devoid of failure lacks passion. We never cried unless we tried. Likewise, organizations devoid of failure or effective management of failure prevention will lack the passion and will to innovate, learn, and grow. NASA participated in a special event – Teaching Children to be Limitless — for Women’s History Month with Urban Zen and Foundation for the Advancement of Women Now (FFAWN). I had the pleasure of participating in it. We rotated through a series of tables answering questions from a group of school-aged children. There was one question that I got at nearly half the tables – do you want to go into space? The first time I got the question, my answer was, “No, I’m too old”. Then a group, led by an 8-year old girl yelled at me irreverently, “What??? You can do ANYTHING you want to do!” After that, my answer was YES. There’s nothing like getting a taste of your own medicine by being yelled at by an 8-year old after you just gave them a dose of inspiration. In her book It’s Not a Glass Ceiling, It’s a Sticky Floor, Rebecca Shambaugh challenges us to examine our beliefs checking them to determine if they are limiting us in any way. She goes on to say that “…in order to reach your potential, it’s essential to acknowledge the beliefs that you hold about yourself, as well as your belief about other people and the world around you.” Shambaugh reminds readers to examine these self-beliefs periodically. This sassy 8-year-old reminded me that it was time to examine my own again. male pilot and the first person African American tohold an international pilot’s license. A Chinese proverb says that “women hold up half the sky”. It is important for NASA to inspire the next generation of all of the sky-holders — scientists, engineers, and explorers– to aim high and reach new heights for the improvement of humankind. If we are going to do our part in holding up the sky, we have to get beyond the notion of a glass ceiling and change the self-limiting behaviors to reach these heights. One of NASA’s2011 strategic goals is to promote the things that attract students into thescience, technology, engineering, and mathematics disciplines. I’d like take the opportunity in Women’s HistoryMonth to talk specifically about some great contributions from some women inmathematics and perhaps to shout for joy about being a woman, a mathematician,and a part of the NASA civil servant workforce. Hypatia of Alexandria lived approximately during the years370-415 AD. She was the daughter ofTheon of Alexandria who was a teacher of mathematics at the Museum ofAlexandria in Egypt. She studied withher father and taught in the Neoplatonist school of philosophy. Though little historical evidence existsabout her, it is believed that she wrote on mathematics, astronomy, and philosophy. She was known to dress as a scholar orteacher instead of in women’s clothing. She drove her own chariot which was not considered a norm for women’sbehavior. As a woman who did not knowher place and one who espoused heretical teachings in astronomy regarding themotion of planets and the heavenly bodies, the Christian Bishop Cyril incited amob to riot and they attacked her and murdered her. Alicia Boole Stott was the daughter of George Boole(well-known for Boolean logic). She hada special intuition that helped her visualize objects in the fourth dimensiondeveloping a special interest in four-dimensional hypercubes also known astesseracts. As a woman who lived1860-1940, she was not afforded a formal education in mathematics. Married with two children, her husbandrecognized her talent and encouraged her to study with othermathematicians. 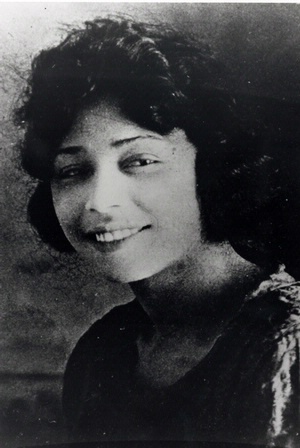 Eventually she publishedseveral papers and built many models representing four-dimensional figures withcardboard and wood. 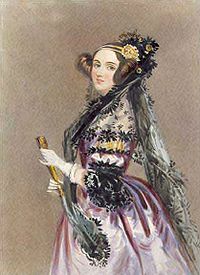 Ada Lovelace, 1815-1852, was known as the first computer programmer. She met Charles Babbage, the so-called Father of the Computer, and becameinterested in a concept he had for a mechanical device to compute values ofquadratic functions. She also became interested in some of his ideas of anothermachine which would use punched cards to read instructions and data to solvemathematical problems. She had a visionthat these machines, the future computers, could go beyond mere calculating ornumber-crunching. In lookingat the sketch of the lives of these women, you can see the potential that womencan offer. This sketch illustrates theability that women have to fit in a man’s world, see in different dimensions, andsee the possibilities of things only imagined. In a study titled Women in the ITby the National Center for Women in Information Technology, it describes thespecial magic that women bring to teams in increasing diversity and enablingcreative innovation. I chosemathematics in college because I loved figuring things out like Alicia, Iwanted to drive my own chariot like Hypatia, and like Ada, found these thingscalled computers lacked the humanity that made them useful to most people. I have agirlfriend that studied physics in college. I asked her why she chose physics for a major. She said that she really wanted to major inpsychology, but the line was quite long and went out the door. Not wanting to brave the elements she wentinto the physics line without even knowing what physics was. The advisors told her don’t worry; we willhelp you and tell you what it is. Shefound her opportunities to excel in the safety and warmth of science. To all theyoung women thinking about what line to get in, get in a line for science,technology, engineering, or mathematics. Dear ladies, the line is short, and the opportunities are many. When you consider our study in thesediscipline areas along with our strength — skills in communication, intuition,and curiosity, WE women become people that you can truly count on. As autumn nights started to approach, the air conditioning was turned off and the windows were opened. The smell of the fresh fall air filled the room with a wonderful fragrance. But, as I laid in darkness in another extended bout of insomnia, I couldn’t figure out what strange animal sound kept grabbing my attention nightly. Finally, as I looked out the window later that week, I saw a strange bird flying around with an impressive wingspan. It was an Owl. In mythology, literature, and many belief systems, the qualities and characteristics of animals are often personified. The traits of the Owl are behaviors that are associated with successful leaders — vision, insight, and wisdom. In organizations, leaders see and provide the vision that inspires people to make the impossible possible and drives people to work together as a team to accomplish what no one could do as individuals. That vision becomes substance and results through faith, work, and resilience. Insight is defined as an instance of apprehending the true nature of a thing, especially through intuitive understanding. Author John C. Maxwell in The 21 Indispensible Qualities of a Leader describes this in the qualities of discernment and problem solving. Harlan Cleveland said that leaders are problem solvers by choice, talent and temperament. They don’t know all of the answers, but they know how to seek answers to the right questions and stay focused long enough to obtain the desired results. Wikipedia.org defines wisdom as “a deep understanding and realizing of people, things, events or situations, resulting in the ability to choose or act to consistently to produce the optimum results with a minimum of time and energy.” A wise person has self-knowledge, is sincere and direct with others, is asked for advice by others, and has actions that are consistent with their ethical beliefs. Maxwell talks about this in his discussion on self-reliance, relationship, problem solving, and character. Andy Andrews in his book Mastering the Seven Decisions That Determine Personal Success asserts that wisdom is “an intuitive element, an insight gained from personal experience that serves us as we make choices in our lives.” Wisdom should not be mistaken for education. It’s the aggregation of discrete bits of incomplete knowledge that the wise man transforms into a deep understanding. The insight, vision, and wisdom of the Owl leader come in the darkness of the night, during a time when many of us slumber. I think I will give up my losing battle with insomnia and listen to the soothing hoot of the Owl as I drift away dreaming a little dream of leadership. It’s going to be difficult if not impossible to develop a credible and effective organizational strategy that uses Twitter until we can, as individual leaders get over our jitters about Twitter. I just had a conversation with someone about the importance and difficulty in exemplifying the principles of Open Government but, I have to admit, I just blocked my first person on Twitter. This made me question the sincerity of my own advice. But, the paradox just shows the leadership challenges that surround the usage of social media in organizations. I drew the line with comfortable information sharing and developing closer relationships when someone (who I blocked) crossed my invisible line by wanting to become a fritter (a friend on Twitter). While I do believe that sharing personal information can help develop relationships, I feel that true personal friendships require more than 140 characters per interaction. Furthermore, communications in this media are only an @ away from sharing information from 2,243 of my closest friends. Nevertheless, Twitter provides a powerful way of adding richness to conversations and interactions. This Washington Post article by Susan Kinzie discusses usage of Twitter in higher education. Professors are using Twitter to extend the academic conversation beyond the classroom. Furthermore, students can be more engaged and benefit from ongoing Socratic dialog. Gartner analyst, Michael Maoz suggests an increase in the effective usage of Twitter in customer service. There are many ideas developing which will spawn new tools for early adopters that will be valuable for customer service. So, get over your jitters and watch the early adopters, there’s a strong potential for significant benefit. 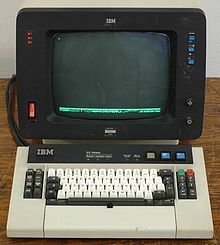 At the NASA IT Summit, Gartner Analyst David Cearley announced that it is 1981 again and the PC era is over! What an amazing declaration. Well, I loved David’s statement. In 1981, I was on my first short tour at NASA. I also met my beloved friend Stephanie and a beloved piece of technology – the IBM mainframe. Now, I’m not a highly regarded expert on technology trends; nor am I a world-renowned expert on information technology – I’m just a poor strugglin’ CIO just trying to get a few little procurements done and somehow get information technology to help NASA satisfy its mission better. So, maybe I won’t talk about technology trends or maybe I shouldn’t. But, I’m sure no one would object to a discussion about something else – maybe technology trenz! Applications development has in many ways returned to the 3270 approach. In the 3270 era, all application functionality was provided centrally. With the advent of the PC, the idea was to invoke central systems only when absolutely unavoidable, and to do all application processing with local software on the personal computer. Now in the Web era (and with Wikis in particular), the application again is strongly centrally controlled, with only technical functionality distributed to the PC. If I had a nickel for every time I heard the comment that there is no requirement for iPADs or similar tablet devices in the workplace, I’d …well … I’d have my own iPAD. Well, people knew better and the market is exploding. And even now, as I gaze at my ODIN-delivered iPAD, I don’t know what I need it for, but I’m absolutely sure that I need it! CIO Update says this is the “…year of the tablet”. But, I like to think of these things as really, really small thin 3270s. Whether it’s 2011, 1981 or 1961, I think the trend that remains the same is probably people. At least one expert believes that people and our human brains are finite and limited. I’m glad I’m not an expert, because I believe that we the people who use IT can continue to drive these trenz ultimately and infinitely. Those of us in IT Flatland deliver systems and capabilities from a limited point of view. We are heads forward implementing products, policies, and solutions. We often don’t think of looking “up” to understand the customer perspective or looking “down” to see how all these things fit together. In Flatland, if something comes from “above” or “below”, it seems to appear out of nowhere. Cubes look like squares and spheres look like circles. As a Flatlander, we are afraid of what we see when it comes from those strange dimensions. It’s our preference to run and hide or pretend like these are ghosts or figments of someone’s imagination. But all this is because of this limited perspective of a Flatlander. The same thing occurs in IT Flatland. Problems appear out of nowhere that we didn’t anticipate. We tested things in Flatland, but never considered how things might work or not work if we went “up” or “down”. So, how do we get out of IT Flatland? Move your head in new directions and look “up” and “down”. This means that we have to walk out of cubicles, listen to harsh criticism, be responsive to feedback, and not be afraid of this strange information from new dimensions. These strange sounds from new dimensions will help us improve what we deliver and our customer satisfaction. Don’t test your products with other Flatlanders, listen to those strange beings from the other dimension. Allow yourself to be picked “up” and moved around in new dimensions. Don’t be afraid to walk in the shoes of those you serve. Look at things from their perspective. See how things look in Flatland when you are “above”? You can see things you couldn’t see in Flatland. It doesn’t look so good anymore does it? Well, fix it … quick! Improve the vision from your “IT third eye”. With one eye, we are limited to two-dimensional sight; with two eyes, we are limited to three-dimensional sight; with our “third eye” we can see into the fourth-dimension. In opening up our “IT third eye”, we are able to be more perceptive and attuned to the things we can’t normally see. We are able to understand how our customers feel, what they think, and what they desire. With this information, we can better translate our services and capabilities into dimensions higher than our own. Now hold on, I am hardly the CIO has risen “above” this Flatland thinking. It’s easy to live in IT Flatland. I’m often asked about what was the biggest mistake of my career. I like to remember it because, like the apostle Paul, it is the proverbial thorn in my side that reminds me that I am still an IT Flatlander just struggling to serve those in other dimensions. My biggest mistake was establishing the email convention while at Department of Justice. It was firstname.middleinitial.lastname@usdoj.gov. I liked that because it was easy to manage the directory and avoid name collisions. Well that made it very difficult for someone to guess an email address unless you know the receiver’s middle initial. So, it was easy for me to administer, but difficult for people to use. It still exists today – what I established in the late 90s. And every time I send an email to a colleague at the Department of Justice, I am reminded of my IT Flatland thinking. This thorn in my side reminds me to continue to develop my “IT third eye” and be more watchful of looking “up” to customer experiences and mission outcomes. It also reminds me to look “down” making sure that things integrate together and work end-to-end. This strange dimension should not be feared.